I like fun and easy. And the older I get, the easier I like things. 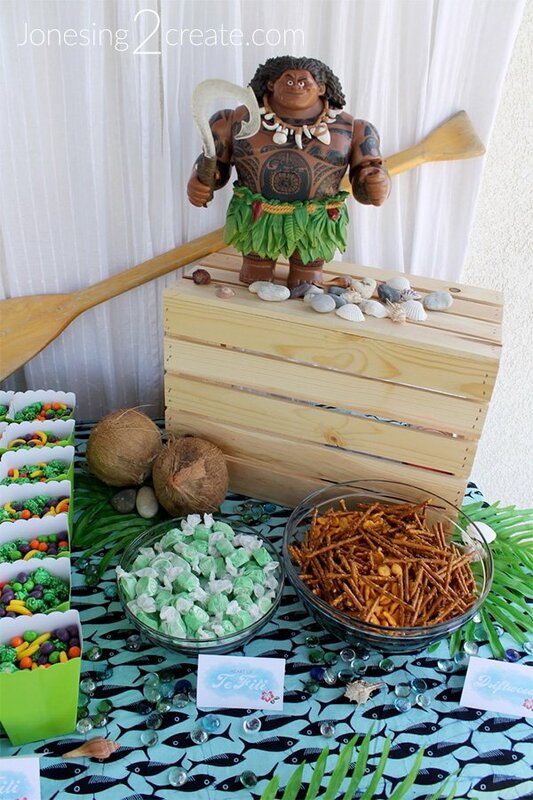 So all these ideas for Moana party food are things that require no slaving away in the kitchen or spending hours on prep. You just print out a food label, pour it in a bowl, and you are done! 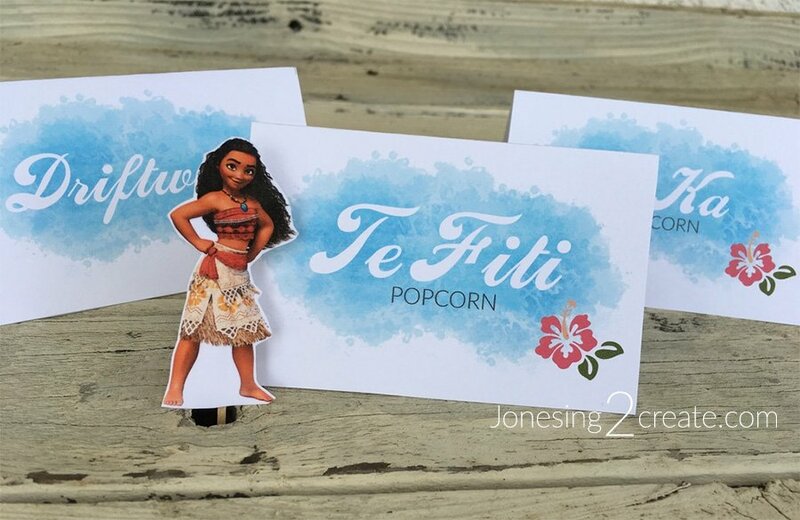 I have the little Moana party food tent labels all ready for you to print out! Now you just have to buy the stuff to dump in the bowls! 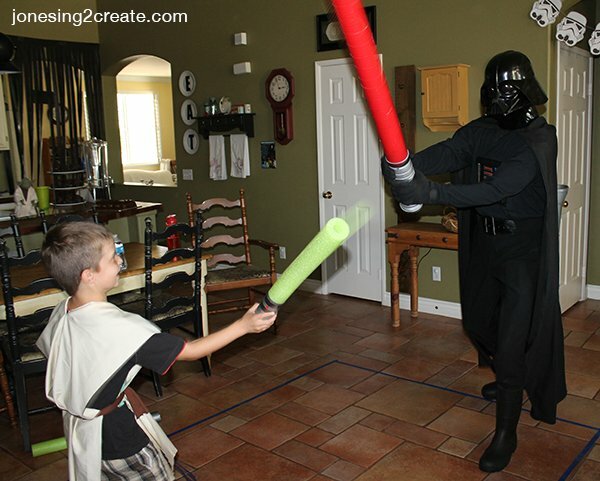 I absolutely loved this idea. It looked amazing on the table, the girls loved it, and it was so easy to do. I got the colored popcorn from Colby Ridge Popcorn on Amazon. The cool part is that they were able to customize my bag for me. So I asked for all green popcorn in one half of the bag and a mix of red and yellow in the other half. You just have to send them a message when you order it. It is a ton of popcorn and it was more than plenty for everybody. My kids actually spent the rest of the week taking bags of it to school for lunch. It was super yummy. 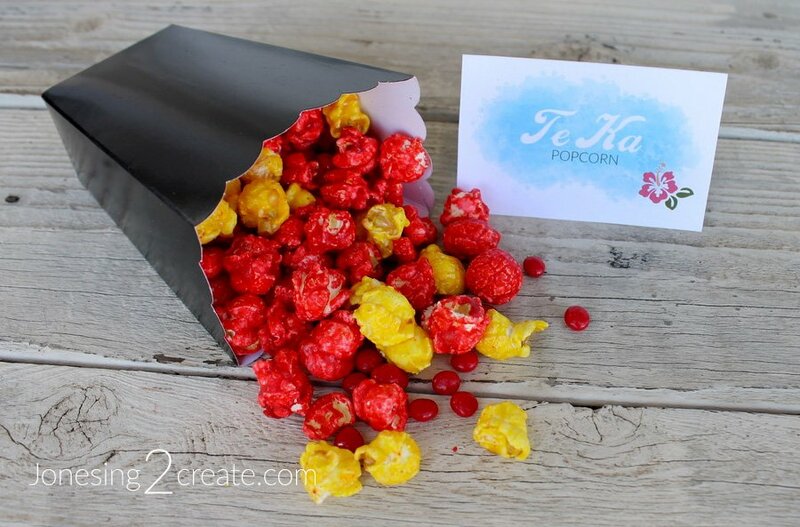 For the Te Ka popcorn, I used the red and yellow to make it look like lava. I also mixed in some red hots because I figured it should also be hot! 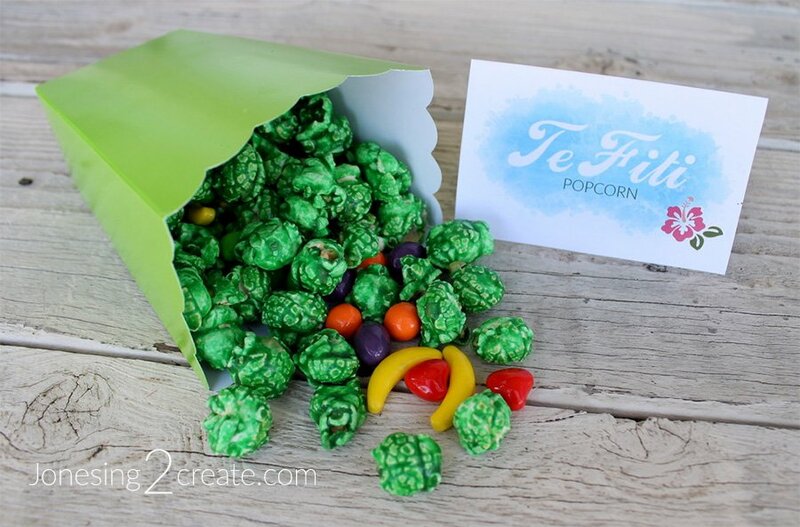 For the Te Fiti popcorn, I used green so that it looked like all the vegetation on the mountain. 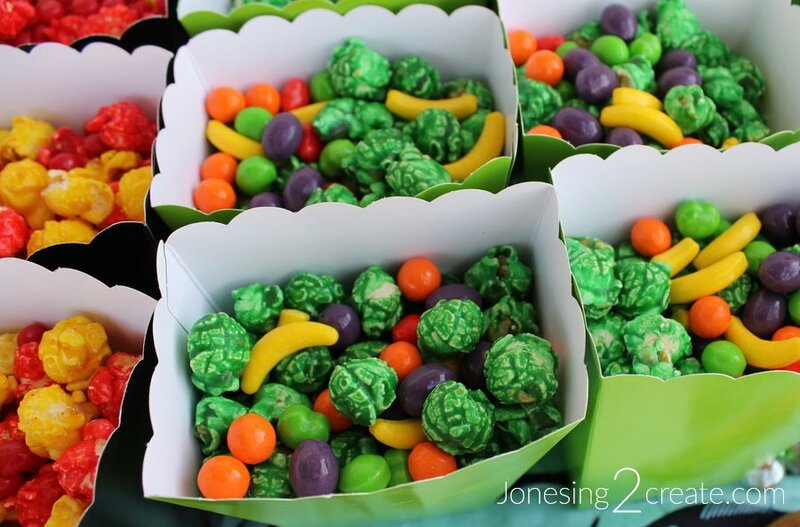 To add some fruitful, flower-like colors, I added Runts. And because I am a germaphobe, I put the popcorn in individual little popcorn boxes so that kids weren’t reaching their hands into a bowl all day. 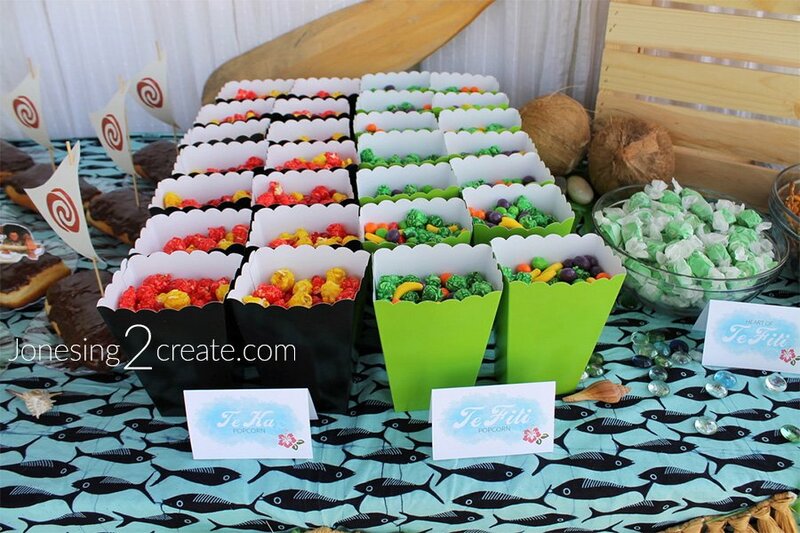 The girls also felt really special to have their own little boxes and it made it easier to send some home. 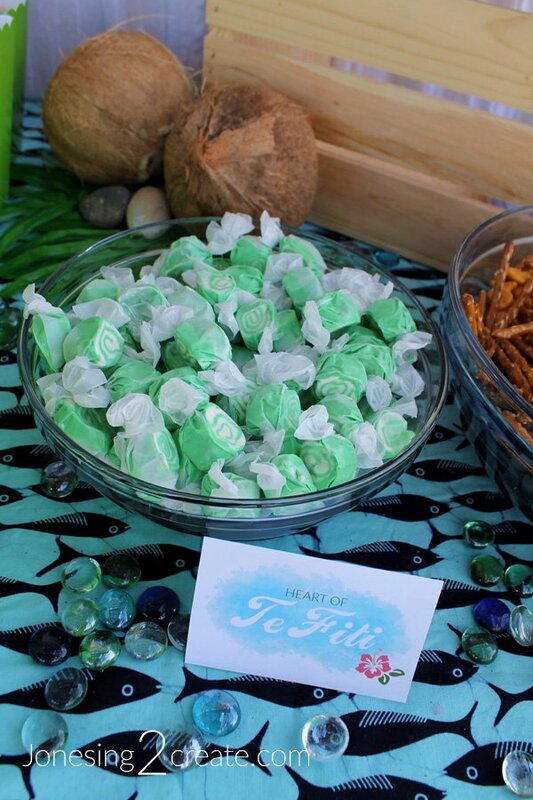 I used the taffy Hearts of Te Fiti I bought for the Kakamora pinata and added them to the food table as well. And you always need something salty, so I threw together some pretzels and goldfish. 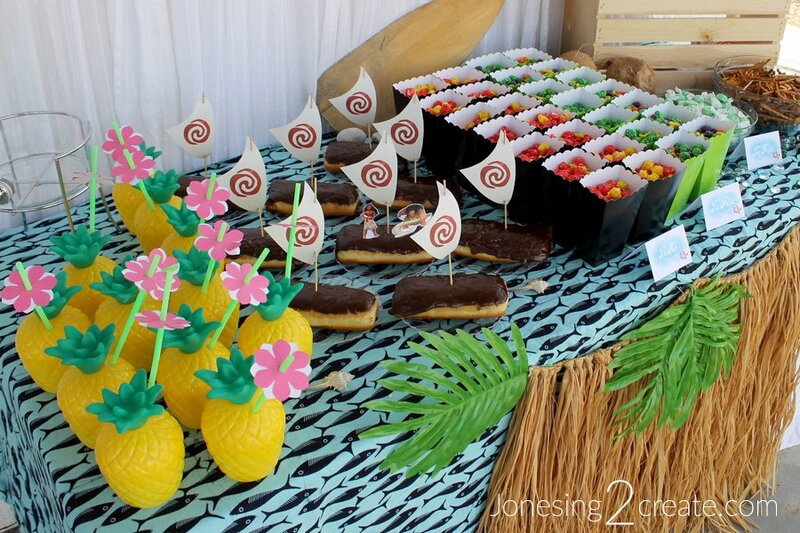 But one of my favorite things on the Moana food table were these adorable pineapple cups. 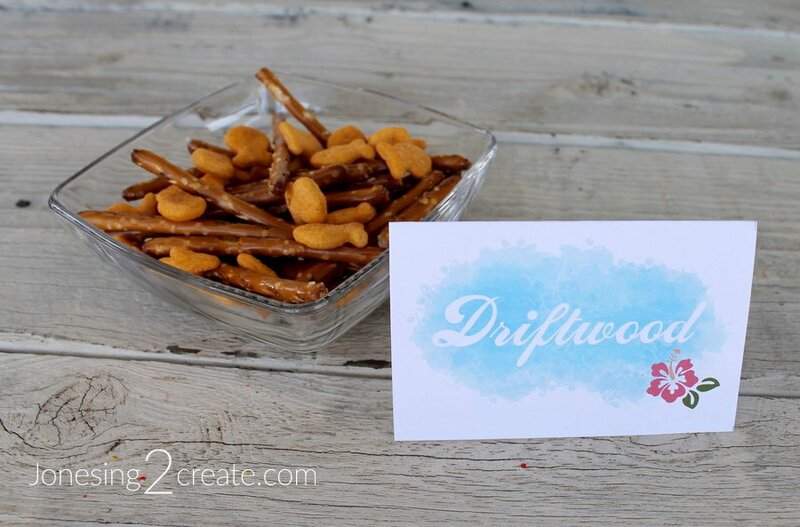 Not only did they look great on the table, but they made for excellent photo props in the photo booth. 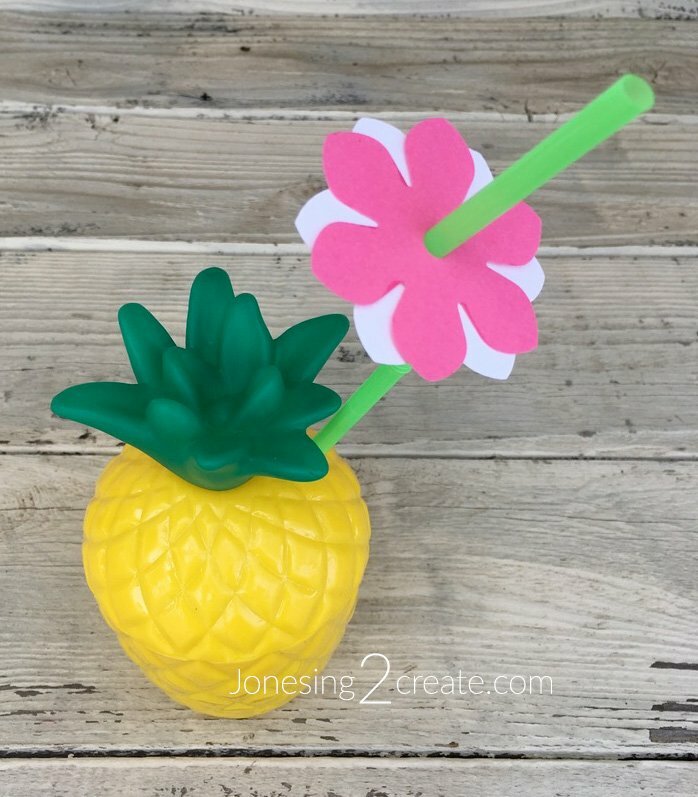 I bought some fun flexible straws at the dollar store that had a really long bendy part. 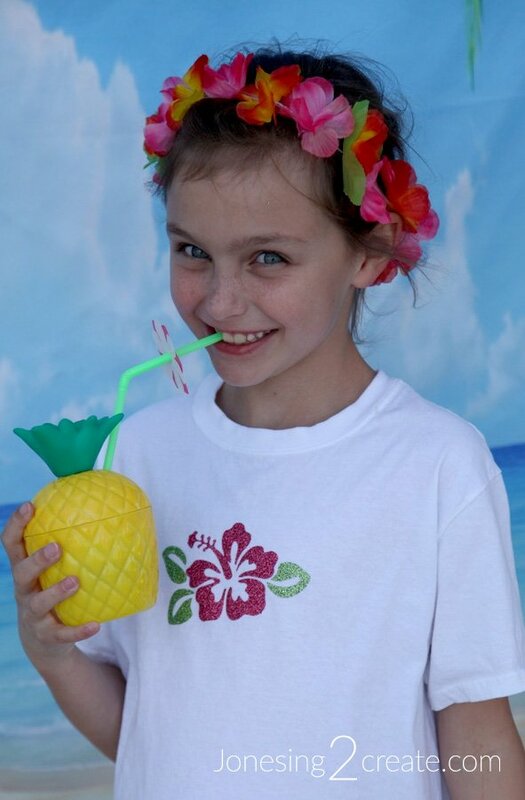 I then used a Gardenia paper punch to cut out a pink and a white flower. 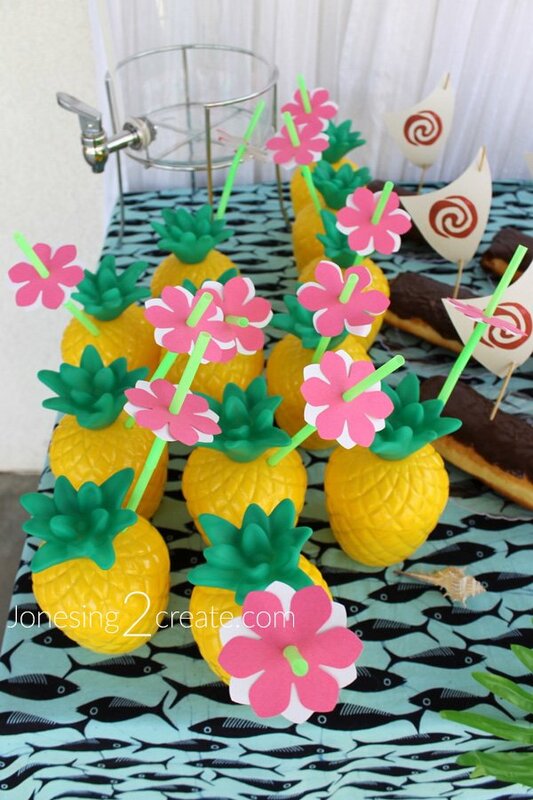 Using a hole punch, I put a hole in the middle and slid them on the straw.